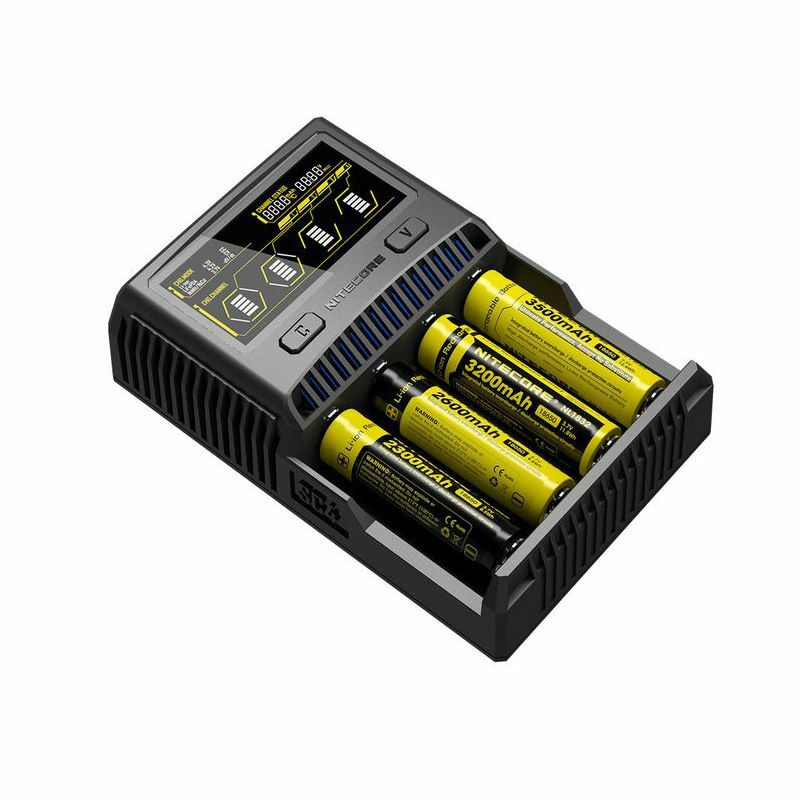 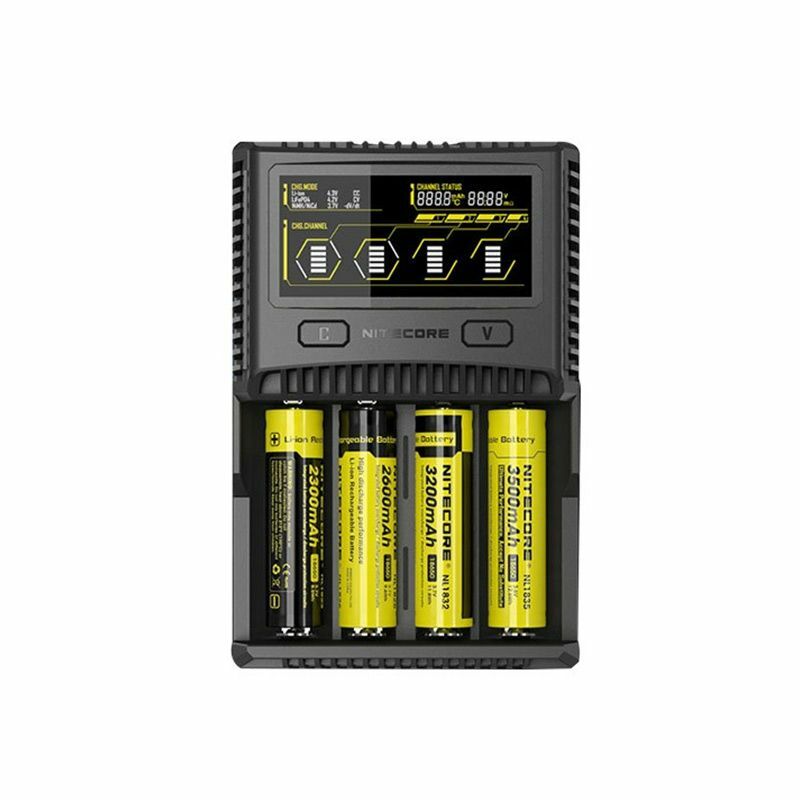 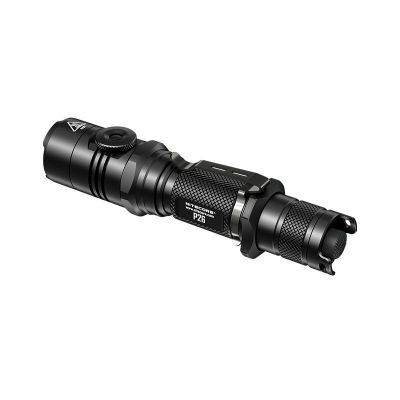 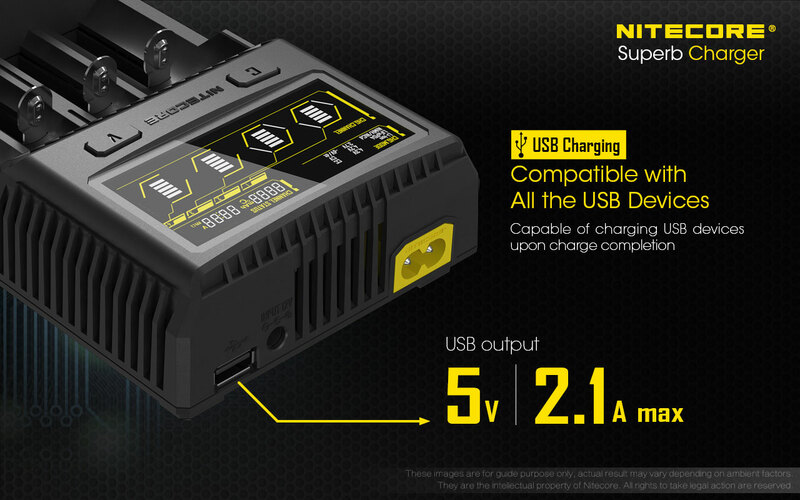 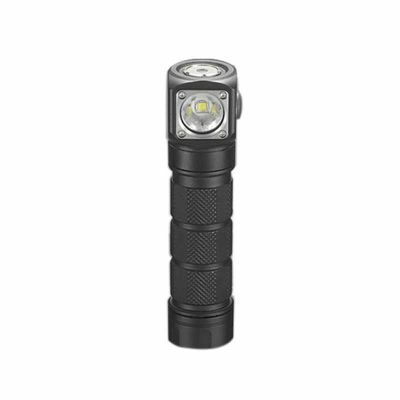 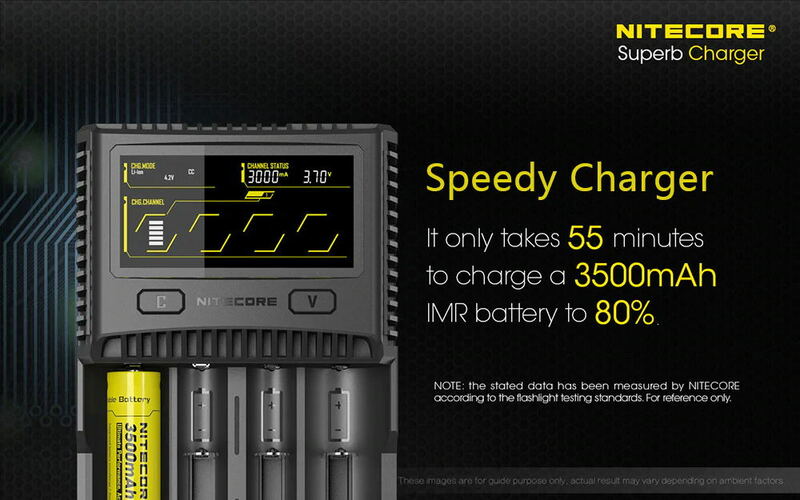 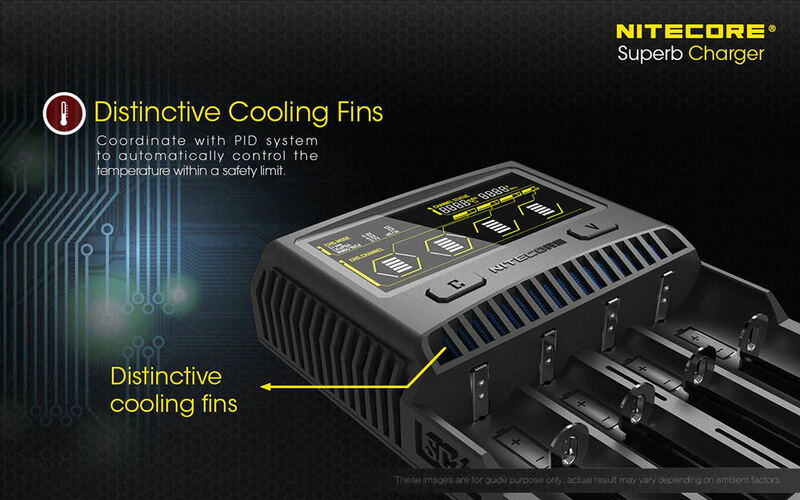 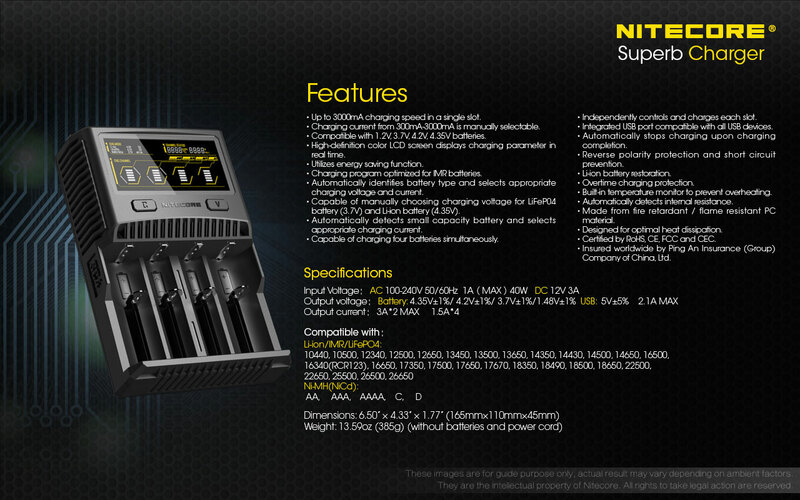 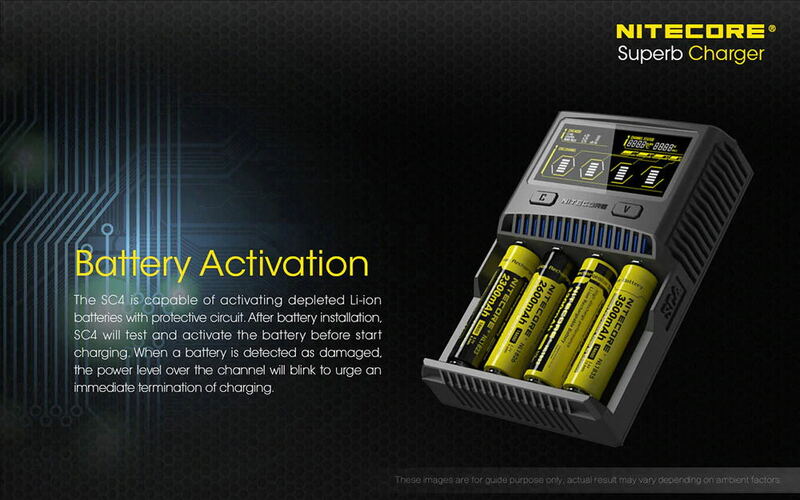 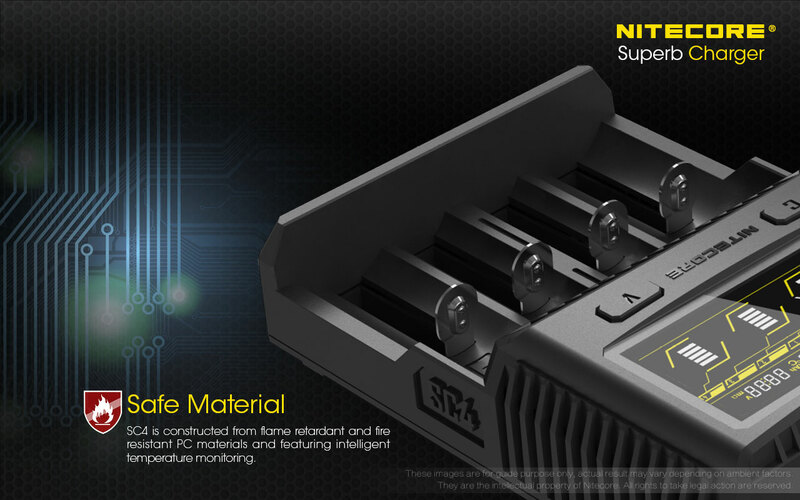 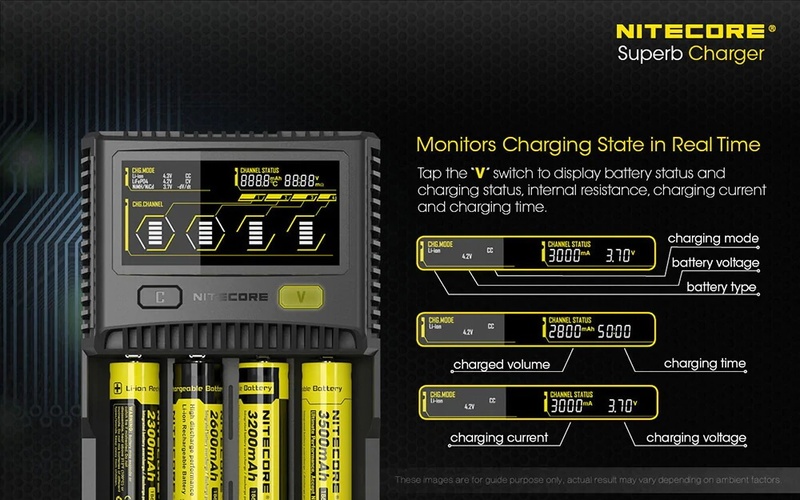 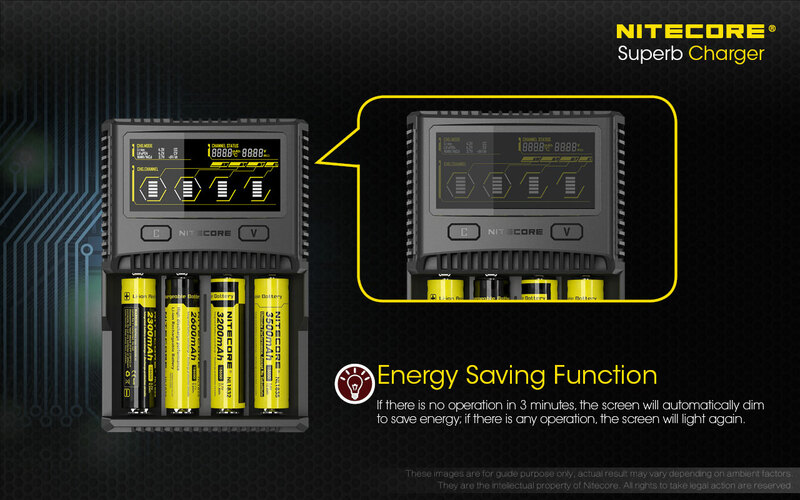 The Nitecore SC4 is a reliable smart charger with manually selectable charging currents, LCD screen and an optomized charging process for IMR batteries. 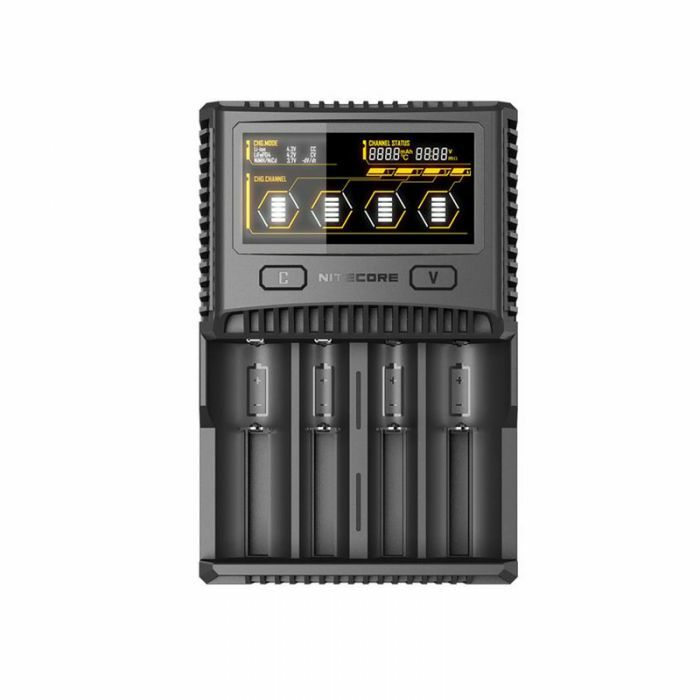 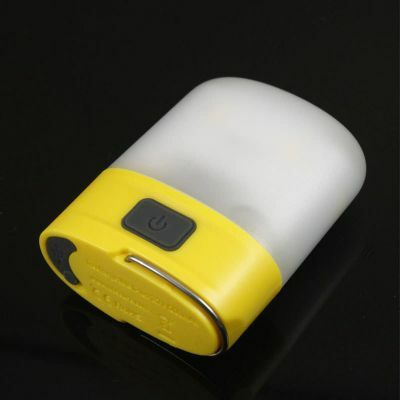 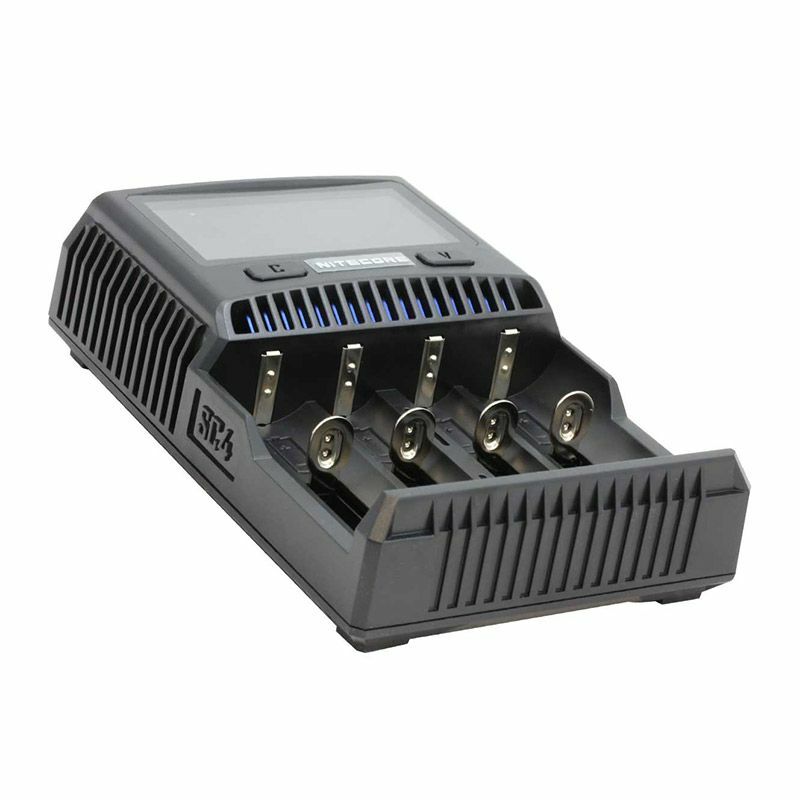 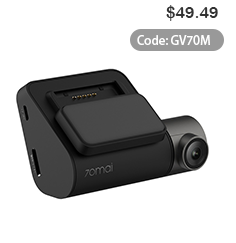 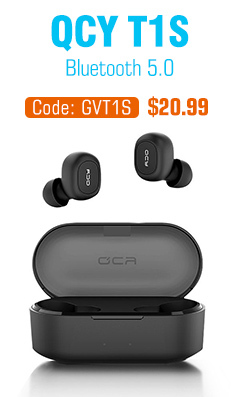 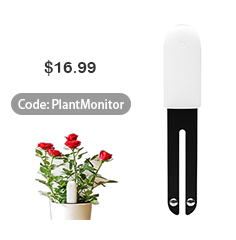 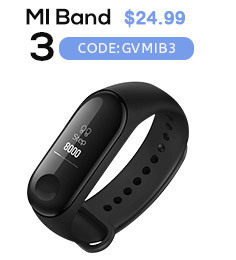 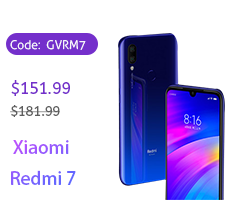 Capable of switching between 3A and 6A output, this charger can be customized to match the ideal charging rate for your unique battery and needs. 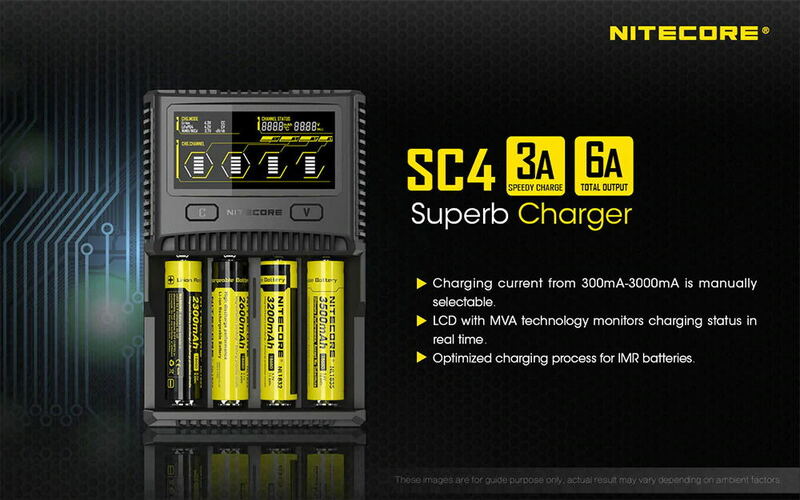 Equipped with 4 Individual Charging Bays, the SC4 is ready for heavy duty charging action. 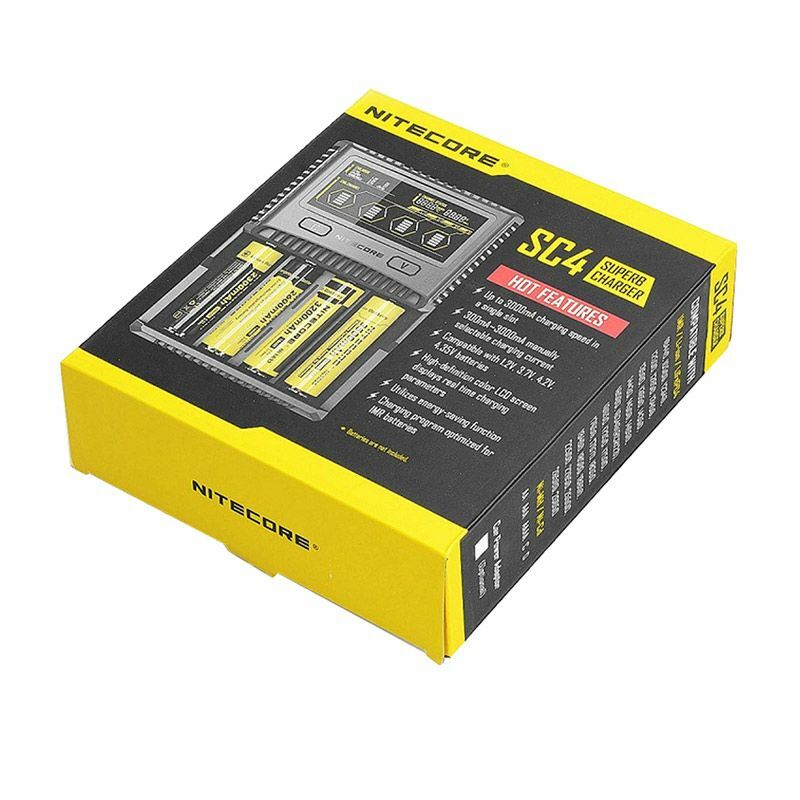 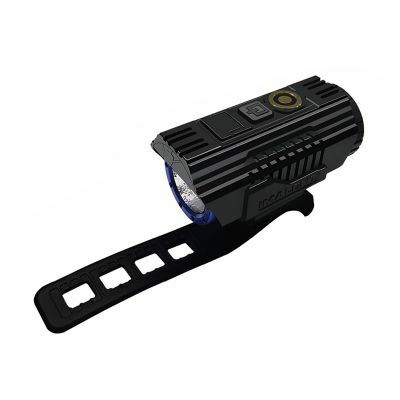 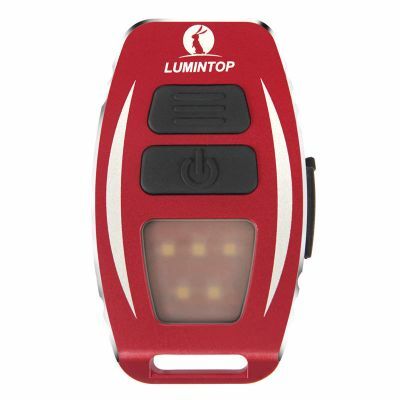 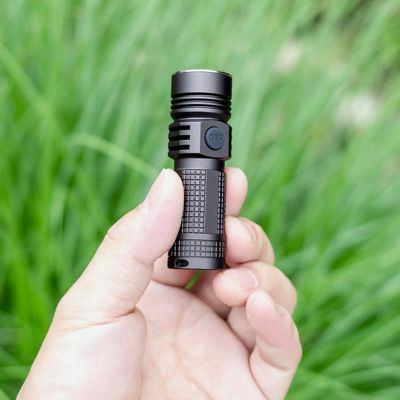 Compatible with just about any standard sized Li-ion, IMR or LiFeP04 battery as well as NiMH batteries, the SC4 is the the only charge you'll ever need.